Drafted Help Documentation - How does Drafted treat my contact information? All Categories ​>​ Data Security ​>​ How does Drafted treat my contact information? Drafted will not spam those contacts. In fact, Drafted will not send any messages to them unless a specific user of Drafted, that is in that person’s network, requests it. 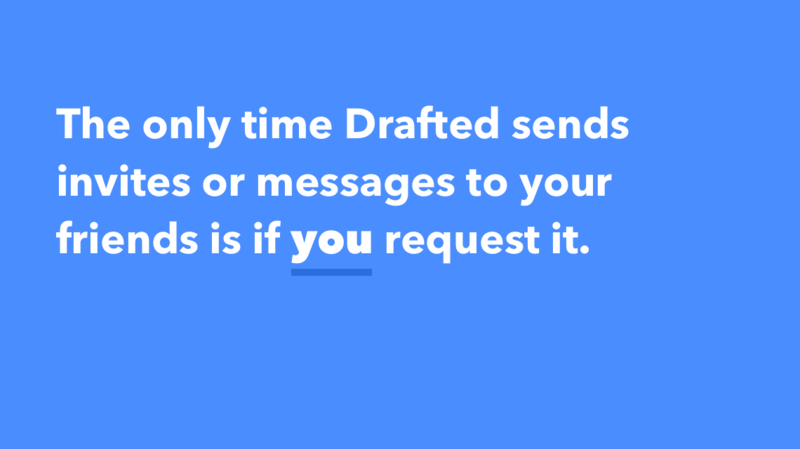 Drafted is a network where you are able to request introductions through your contacts to second-degree connections. This means that folks on your recruiting team, or other friends you have on Drafted, will be able to ask you for introductions to your contacts. Does Drafted send automated messages to my contacts?